Oak smoked using shavings from Glenmorangie whisky barrels. Wonderfully powerful and delicious, smoky Scottish cheddar. 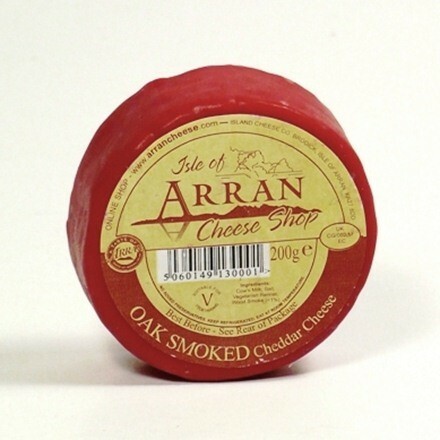 The Islands Cheese Company on the Isle Of Arran make traditional cheddars, skilfully crafted with a range of natural flavours and milk from local farms. It was the first UK company to be awarded the SALSA (Save and Local Supplier Approval) quality assurance standard.